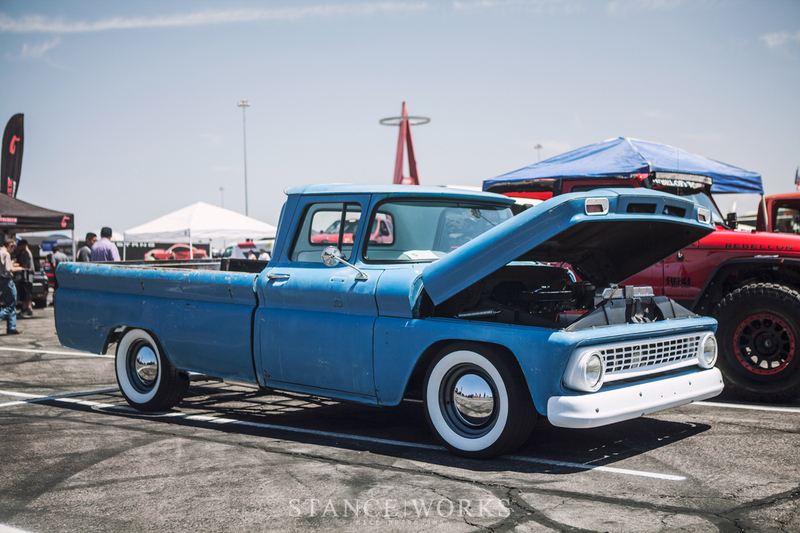 Now on its third year, Nitto Tire's Auto Enthusiast Day has brought together car fanatics from across Southern California for a day under the sun, with a variety of cars and enthusiasts unparalleled by nearly any show. 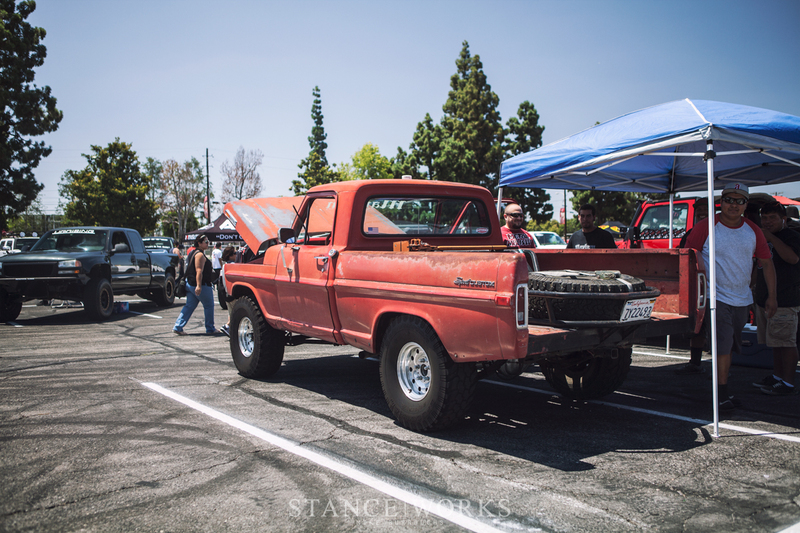 From classic Japanese coupes to vintage American Muscle, and from modern German performance to built 4x4 rigs, Auto Enthusiast Day has something to offer for everyone. 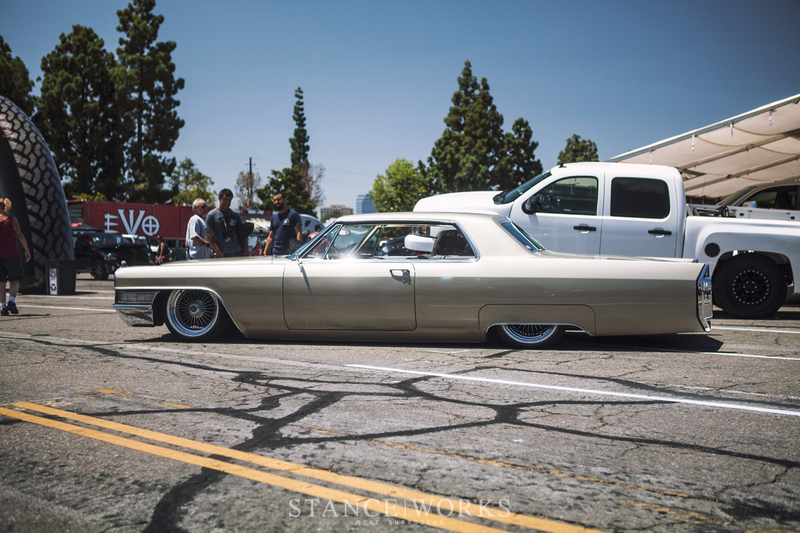 We spent our Saturday wandering the show grounds, capturing the cars that stood out as our favorites of the event. As we passed through the gates, a pair of Corollas caught our attention, one on each side of the entryway. One, well-used and embellished with '76' colors, and the other, restored and showroom perfect. Between the two, it was hard to pick a favorite, and they helped set the stage for the event to come. It was the American iron that caught our attention immediately following. 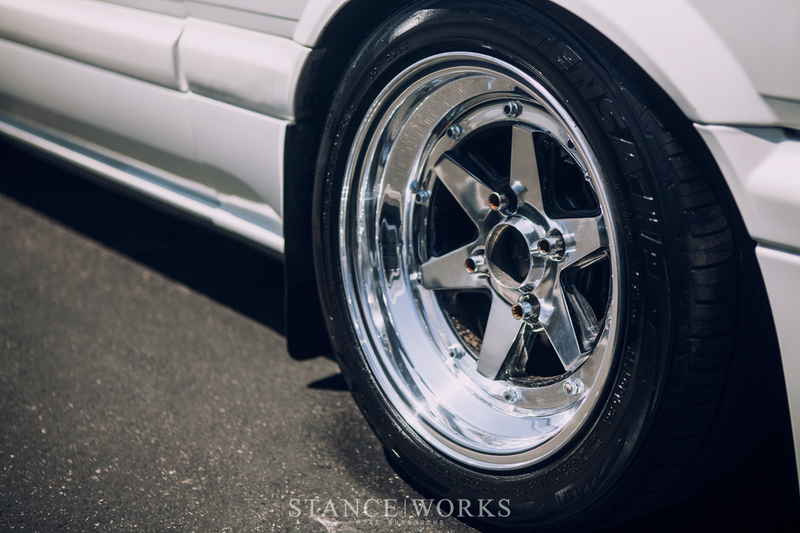 Parked among the vendor booths, one of the latest Liberty Walk examples sparkled in white under the sun. 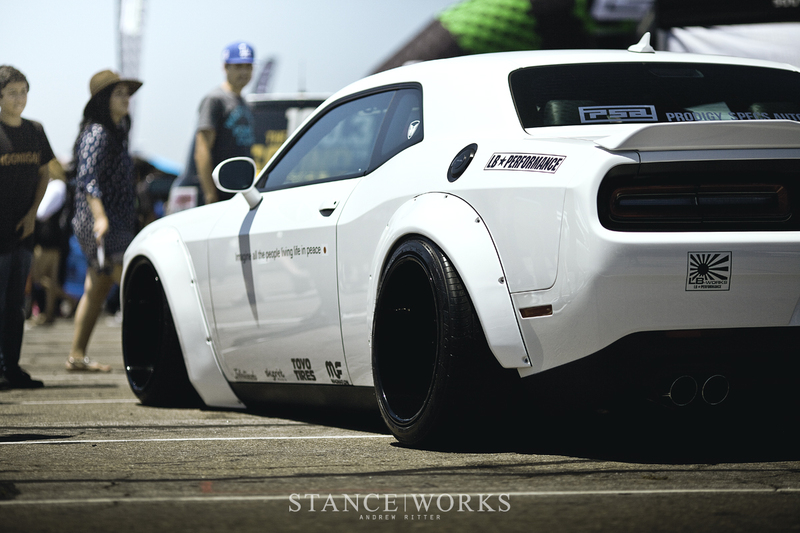 The Dodge Challenger, perhaps one of the more subtle Liberty Walk-kitted cars to be released, was planted against the Angels' Stadium parking lot, and seemed right at home amongst the show. 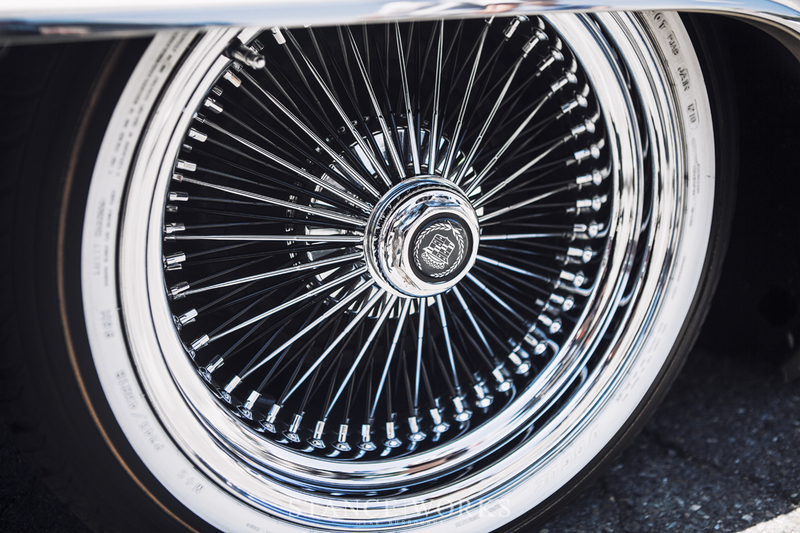 Not far from it sat another big American coupe - a Cadillac Coupe DeVille, hunkered down over a gorgeous set of chrome and black wire wheels. 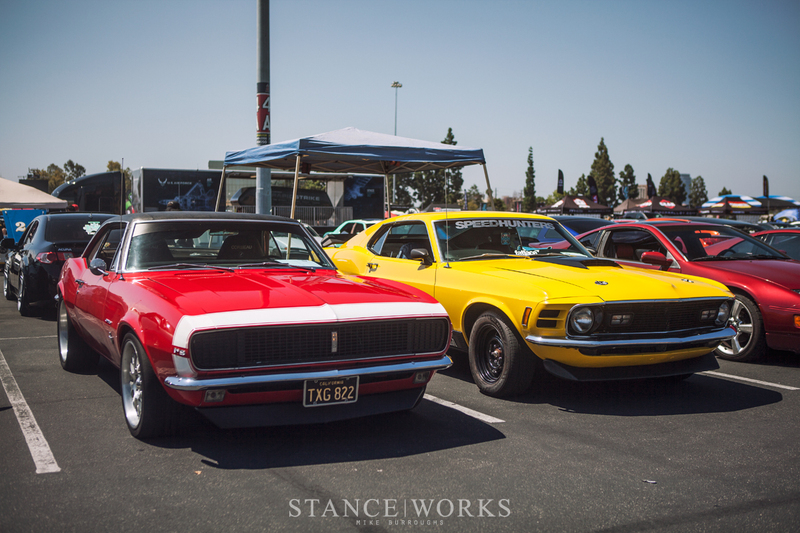 Also making a return this year were Eddie's Camaro and Jake's Mustang, two of the cleanest examples of classic cars at the show. 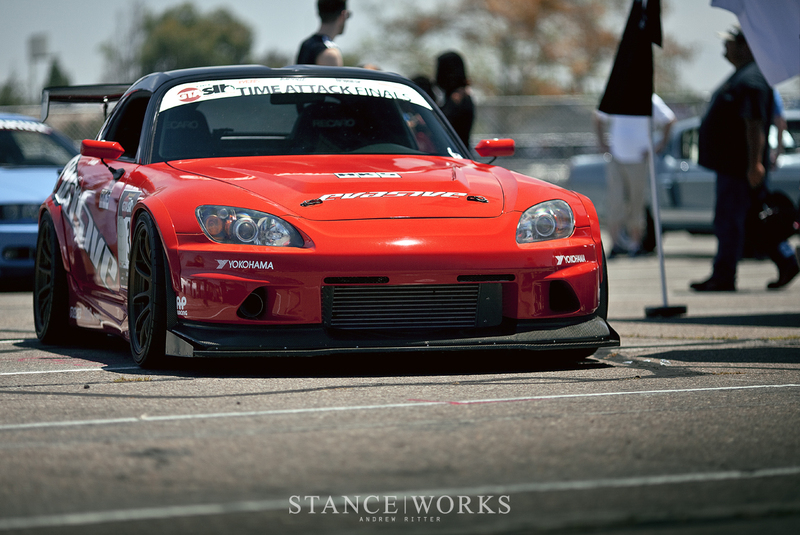 We moved towards our Japanese favorites: Evasive's Time Attack S2000 was under the spotlight, presumably ready for Super Lap Battle, which is just around the corner. In contrast, a group of classic Datsun roadsters sat in a row, each with an engine worth showing off. One car in particular, with its red paint flaking and body wear that showed its age, caught not only our attention, but the attention of the youngsters too. 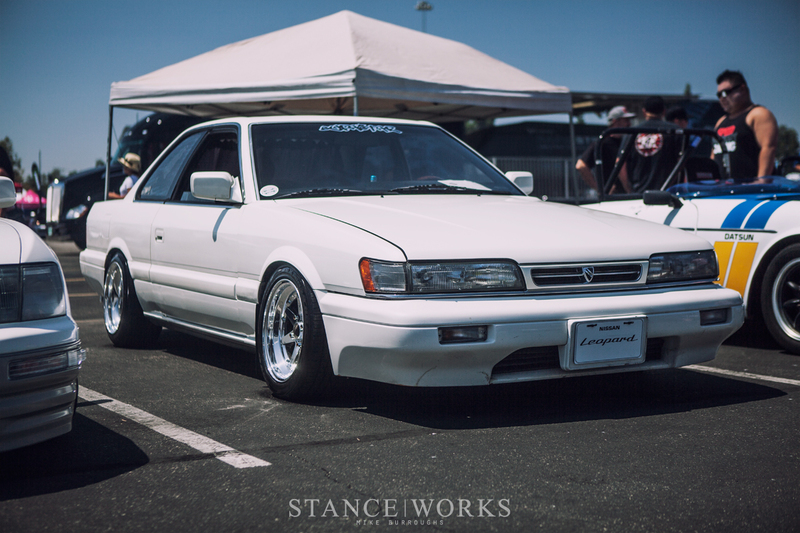 Nissan 240SXs are a dime-a-dozen, but the Infiniti counterpart is considerably less common. The M30 stands as a "luxury" example of the 240sx, with bodywork to separate it, but with under workings incredibly similar to its family member. 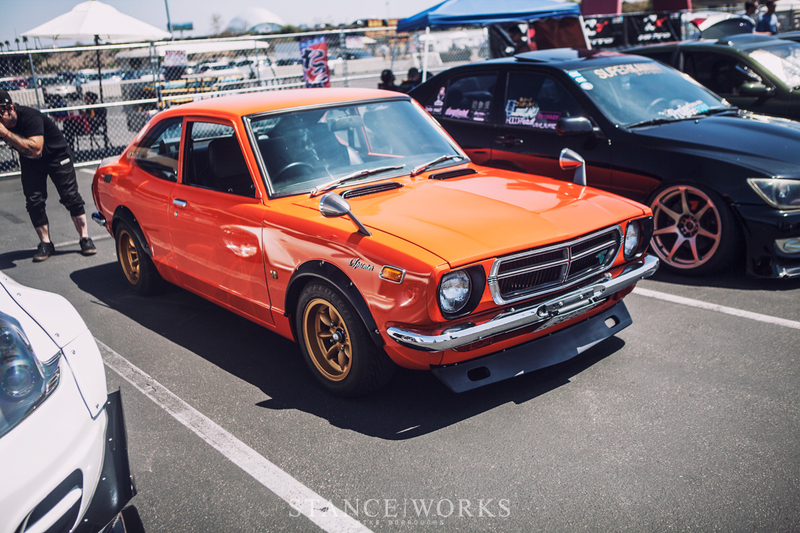 This particular example had been swapped out to its Japanese nomenclature: the Nissan Leopard, and was easily one of our favorites of the show. Sitting atop SSR Longchamp XR4s, it needed little to stand out from the crowd aside from its uniqueness, cleanliness, and simplicity. 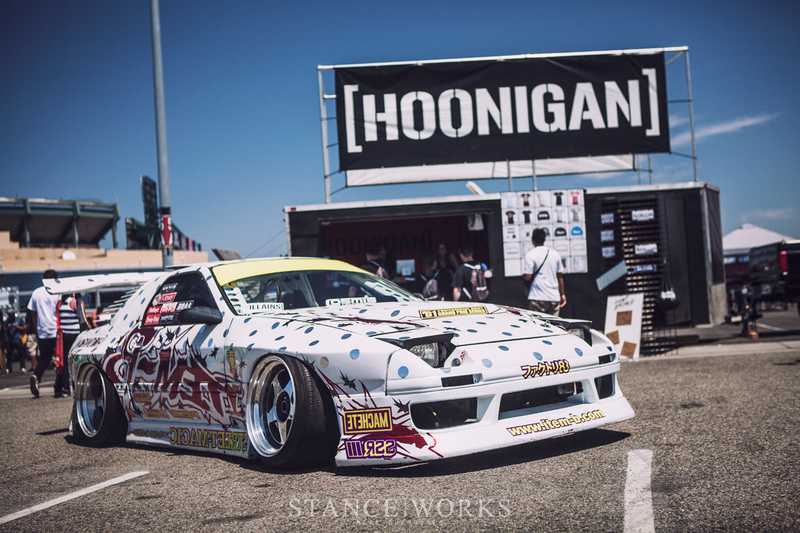 Our friends at Hoonigan were out in full force, as were the boys at HPI, both with booth displays worthy of attention. 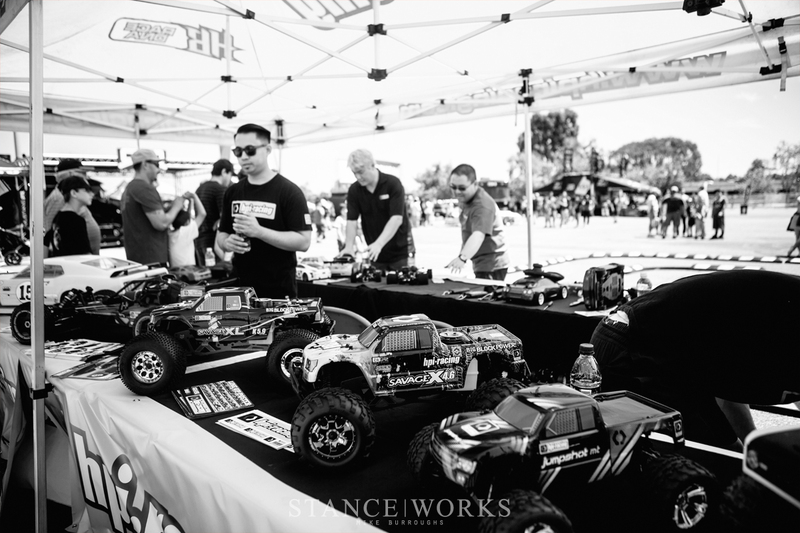 We spent time at the HPI booth, checking out the latest from the team. 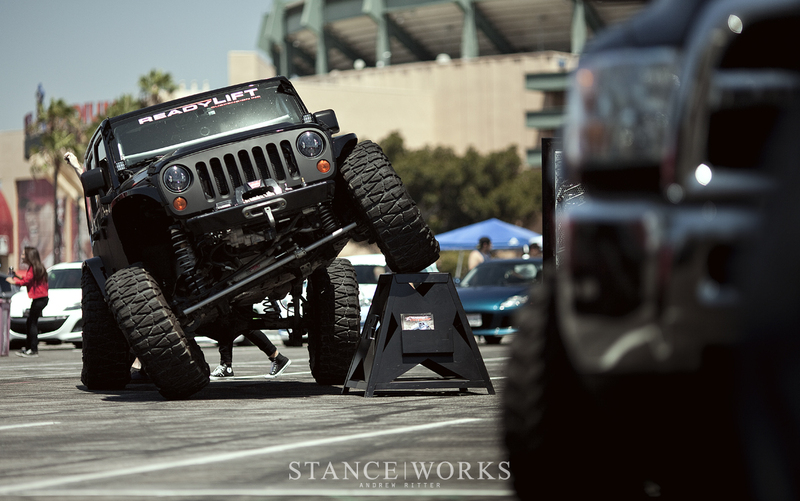 Needless to say, we're still eager to get our hands on chassis of our own. In the mean time, their winding drift course set up in the parking lot was enough to hold us over. As we worked our way across the lot, we came upon the truck side of the show. 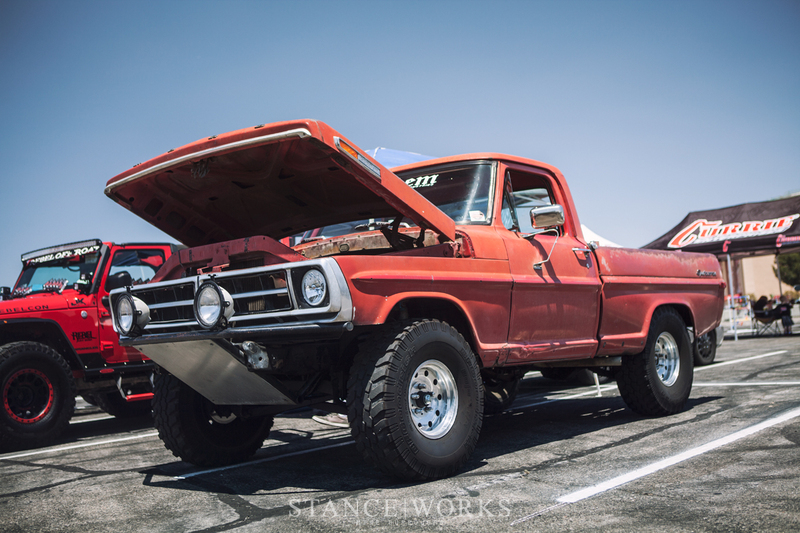 Erik's classic Ford made an appearance in our coverage of last year's show, and with good reason: it's hard to get much cooler than this. Complete with a full suspension swap and build, as well as modern power under the hood, it was hard to find a reason not to arrange a future shoot with Erik and his truck. A slew of other rigs scattered the lot, ranging from classic C10s and 3200s, to Jeeps and crawlers ready for the trails. Some trucks parked flat against the pavement while others towered above it, with a number of them showing off their suspension geometry and flex capabilities. The world of trucks is undeniably more broad than the world of cars, and it's always exciting to see how truck owners decide to utilize their vehicles. As always, Auto Enthusiast Day offered more than just a car show to its spectators. 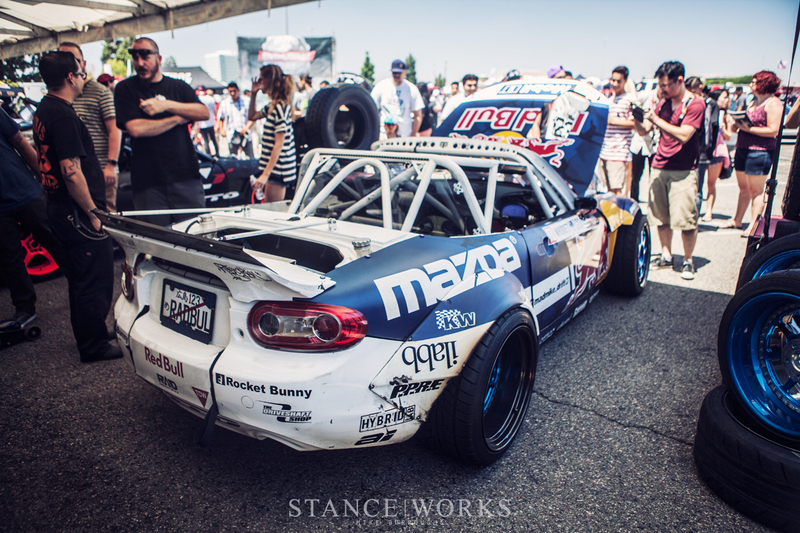 The Nitto-sponsored Formula Drift drivers were all present and ready for action. 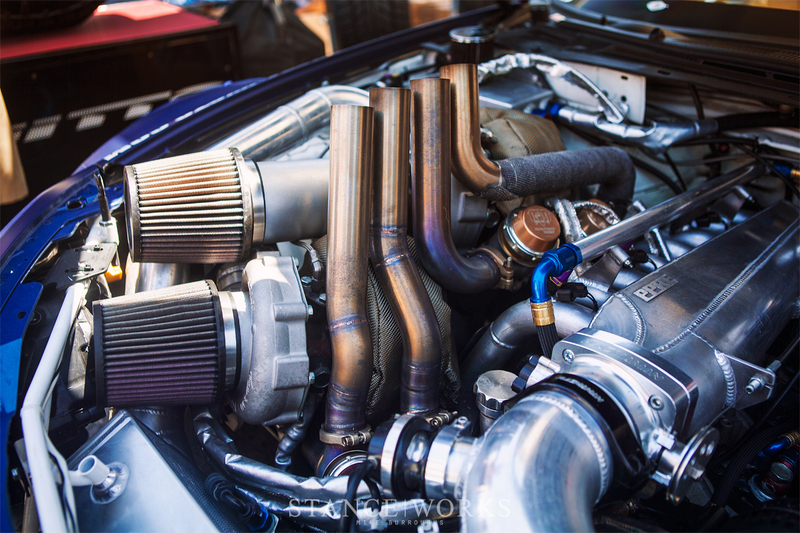 Odi Bakchis, Tanner Faust, Vaughn Gittin Jr, and Mad Mike all put on a spectacular show for the crowd, creating a storm of sound and smoke that continuously but delightfully drowned out the event's music and commotion. 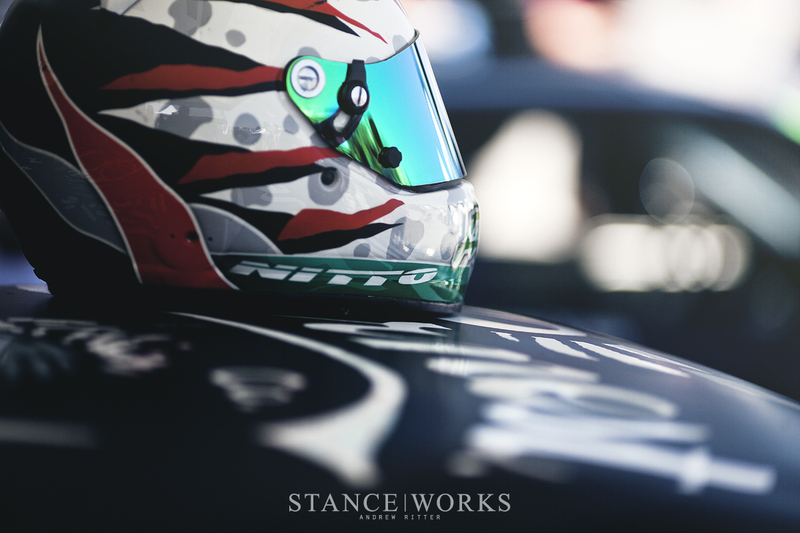 Once again, the team at Nitto put together a phenomenal event that offers a bit of something for everyone. 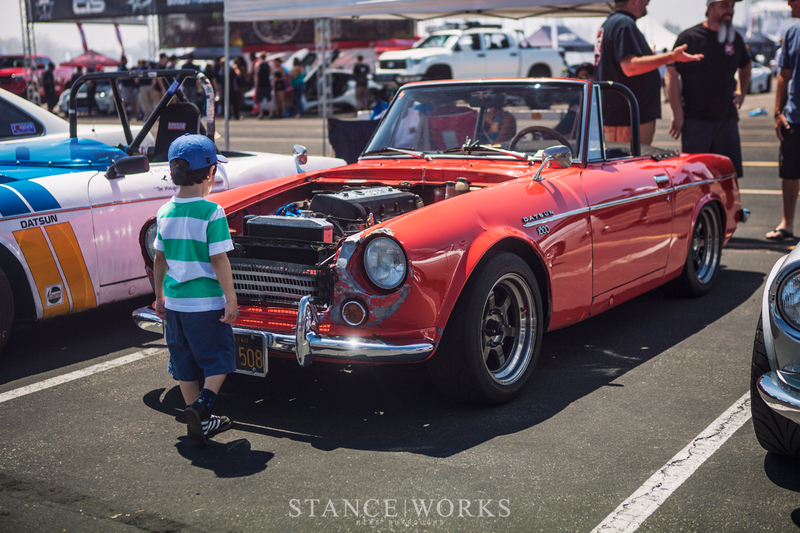 Auto Enthusiast Day holds true to its title, and continues to bring a bigger crowd year after year. 2016 is sure to be one for the books, and we hope to see you there!